All BRACKENRIDGE COURT homes currently listed for sale in San Antonio as of 04/22/2019 are shown below. You can change the search criteria at any time by pressing the 'Change Search' button below. 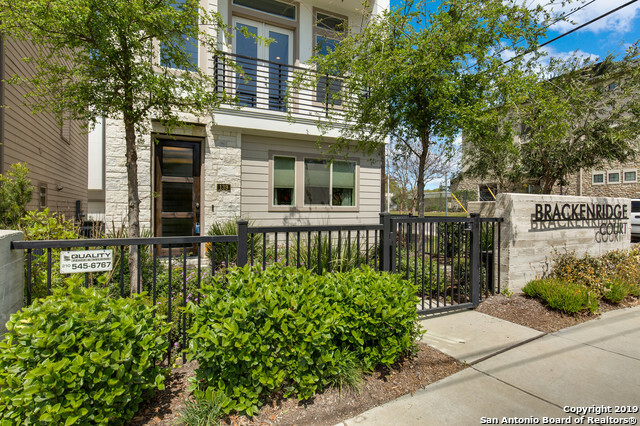 "Wow this incredible urban living home is just minutes from The Pearl and beloved San Antonio restaurants, shops and entertainment!! The multi-level home features an open concept, stunning kitchen with large island, tall ceilings, lots of natural light, a beautiful master suite with sitting room, and all bedrooms have a full bath. One of the most unique and cool characteristics of the home is the 4th story shaded roof top patio that has a 360 view of downtown and surrounding areas."